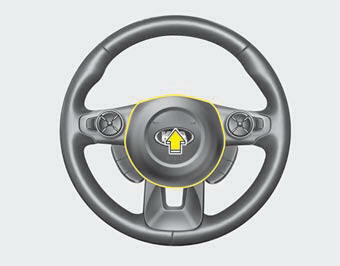 To sound the horn, press the horn symbols on your steering wheel. Check the horn regularly to be sure it operates properly. Do not strike the horn severely to operate it, or hit it with your fist. Do not press on the horn with a sharp-pointed object.